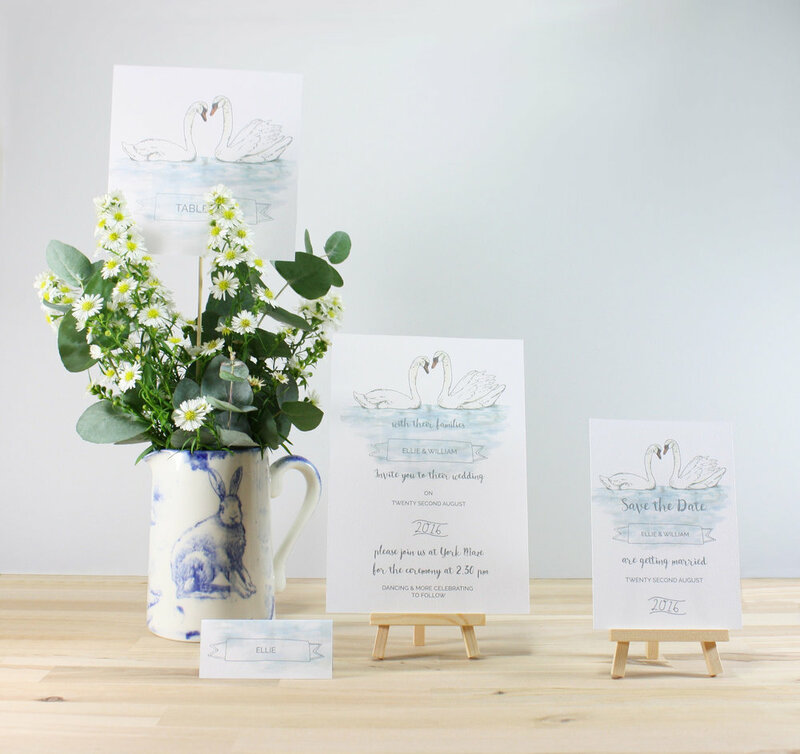 Alongside designing our own illustrated wares North Doodle Co creates bespoke wedding stationery to make your wedding day that extra bit special. Our off the shelf collections can be personalised to your requirements. We create our illustrations using pencil, water colour and ink so the stationery has a quirky hand-drawn feel. They are perfect to add a special touch to your wedding and give your guests a glimpse of how lovely your wedding day will be. North Doodle Co can create your wedding stationery from scratch, working with you to create the perfect stationery unique to you. This is a great choice for couples who know exactly how they would like their wedding stationery to look, as they have control over the final design. We will provide drafts of the design so that your final wedding stationery design will be exactly to your liking. 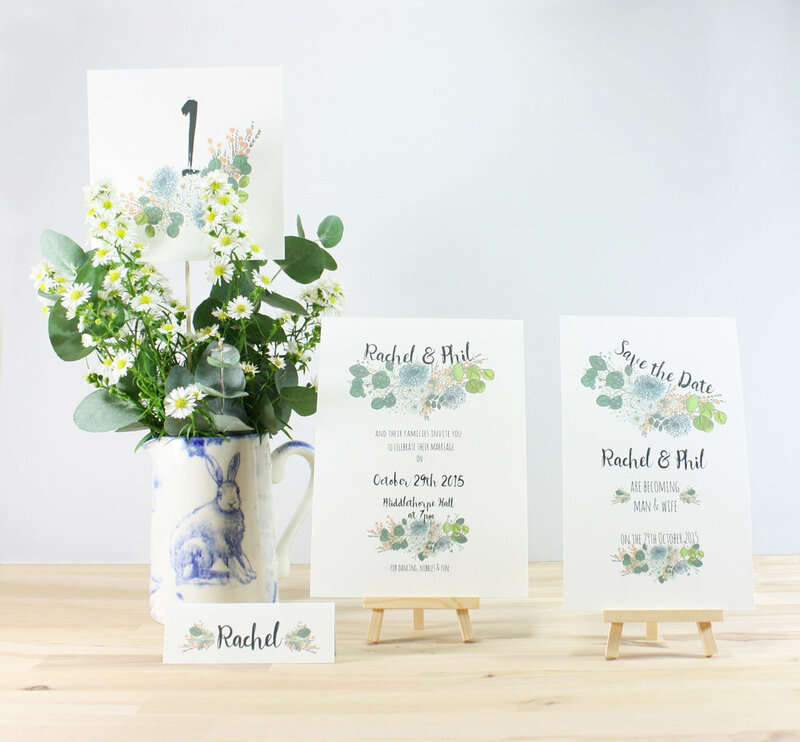 If you are interested in having your wedding stationery designed by North Doodle Co please get in contact. We will be very happy to talk through your plans and provide you with a quote for your commission.